LEGO Classic Creative Bricks Just $13.59! You are here: Home / Great Deals / Amazon Deals / LEGO Classic Creative Bricks Just $13.59! 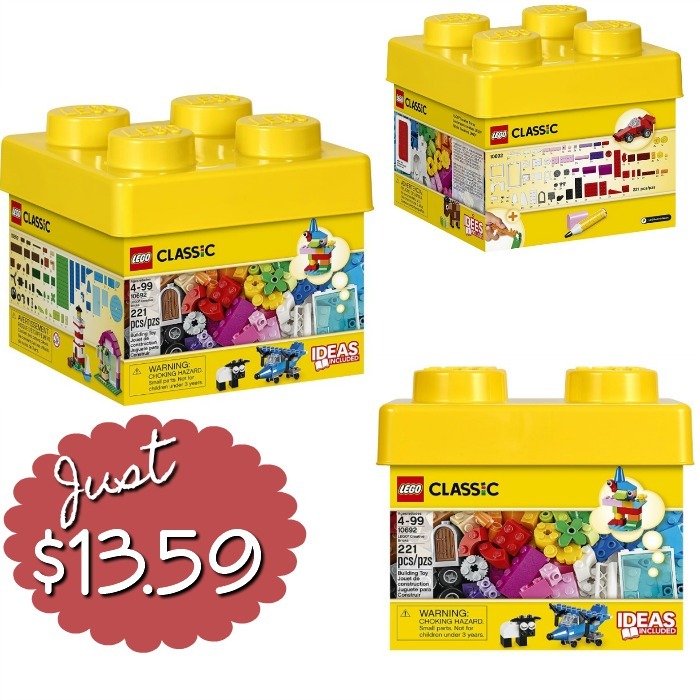 Order these LEGO Classic Creative Bricks for just $$13.59! This is the lowest price we have seen so grab it while you can and stash for when you need it! Dig into this selection of LEGO bricks and let your imagination run away with you! The building possibilities are endless, with classic bricks in 29 different colors and special pieces including doors, windows, wheels, eyes and propellers. And if you don’t know where to start, you can find instructions with some ideas to get you going. This is an ideal set to help budding builders of all ages get creative, and would complement any existing LEGO collection.